One of our favourite tournaments this time of year is the One-Clubber where all clubs save one are left in the boot to take on the golf course. If a club is picky about hackers using non-putters on the greens sometimes we make it a One-Clubber With Putter event. If you have never played a round of golf with just one club you will be surprised at how close you can get to your typical score.But playing with one club is not wholly about scoring. It is about playing different shots and working a ball around the course. How do you decide which club to use? 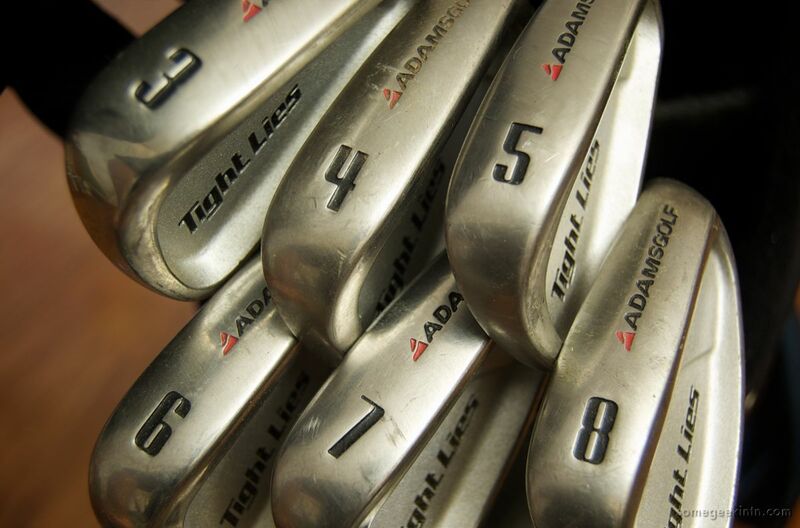 Most players choose a mid-iron, usually a five, six or seven-iron. One way to decide is to look at the scorecard and figure out what club will leave you the most full shots into greens. For instance if the course has a bunch of four-pars around 350 yards and you hit your normal five-iron about 175 yards you will be better off with a five-iron than a more lofted club. If the course has long par fours in the 450-yard range you may prefer a seven-iron to leave full third shots into greens. Putting with an iron is personal preference, discovered with a little trial and error. Some players like to blade the putts by striking the ball at its equator; others prefer to try a pick-clean-chip method and some players may even turn the club around and putt with the back on short blows. Playing with one club is certainly not unique. Seve Ballesteros and Lee Trevino used to do battle in improvised one-club matches at the British Open in the 1970s and 1980s. Nicklaus, Palmer and Player regularly played practice rounds with one club to work on feel and shot-making. In 1987 Thad Daber set a Guinness World Record for the lowest competitive round with one club by firing a 70. Daber used a 6-iron and made four birdies in his historic round. In the past there has been a One-Club Golf World Championship and there may be again. You may be able to find charity one-clubbers or start your own event. Expect to have more fun on the golf course than you have had in years. One thing is for certain with a one-club round - you can say goodbye to the five hour round. Or even the four-hour round. In one-club it is grip it and rip it and move on to the next shot. You'll be at the 19th hole in three hours.